Over time, this engine will replace TU5JP4. 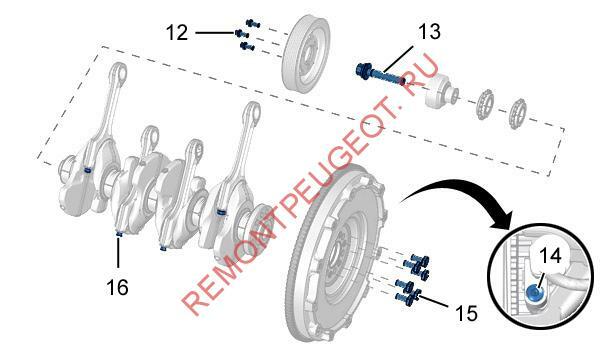 The peculiarity of the EP6 engine for Peugeot 308, 408 and 3008 is a possibility to use the inlet valve control system and to achieve the power of 88 kW, which is 120 hp at 6 000 rpm according to the Euro 4 exhaust emission standard. It is made of aluminum alloy in a disposable mold. 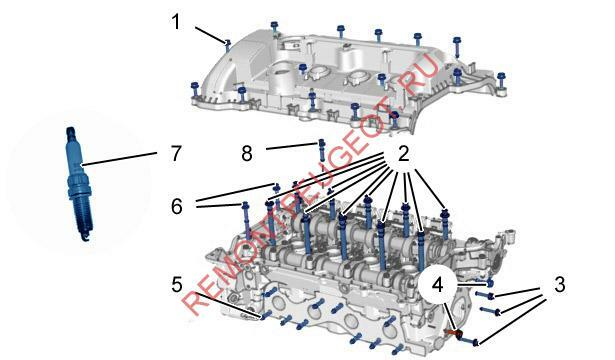 The model of the cylinder head is made of polystyrene and then injected with resin. When being molded the alloy is replaced by the polystyrene model. The cylinder head cover is made of composite materials and has an oil separator. Its tightness is ensured by 7 rubber gaskets. Such molding technology provides a high precision and accuracy of different channels and molds in the cylinder head. Inlet valves are controlled by the additional intermediate shaft and electric motor. 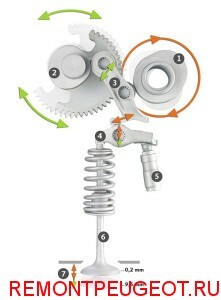 The vacuum pump drive installed on the outlet countershaft provides the easy braking. 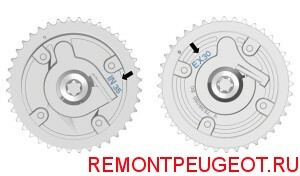 Phase shifters work within specified limits: the angle of shift at the inlet shaft is 35° and at the outlet shaft is 30°, as there is the IN 35 (inlet) and EX 30 (outlet) marks on them. Also, there are solenoid valves installed on both sides of the cylinder head. They are controlled by the engine computer and regulate phase shifters. Pistons are made of alloy materials and have holes for valves with marks on the gas distribution system. A complete lack of the central hole is conditioned by the fact that it does not imply the direct injection to the combustion chamber. The EP6 engine flywheel has a hole for marking when the circuit is changed or regulates the gas distribution system. The complete filling of oil is 4 l, without the oil filter is 3.7 l.
Each oil supply channel of phase shifters is equipped with a non-return valve installed directly in front of the solenoid valve. Air inlet resonator is located behind the head light and ensures the reduction of noise of an inlet air flow. The air filter is installed on the intake manifold and ensures the inlet air purification. At normal operation, it should be replaced after achieving 60 000 km. The throttle blade with electric drive is used only in emergency mode if there is an error in the inlet valve control system. The intake manifold of the EP6 engine is made of composite materials. Its tightness is ensured by 4 removable gaskets. The exhaust manifold is made of stainless steel and has two tap holes for the upper and lower lambda sensors. 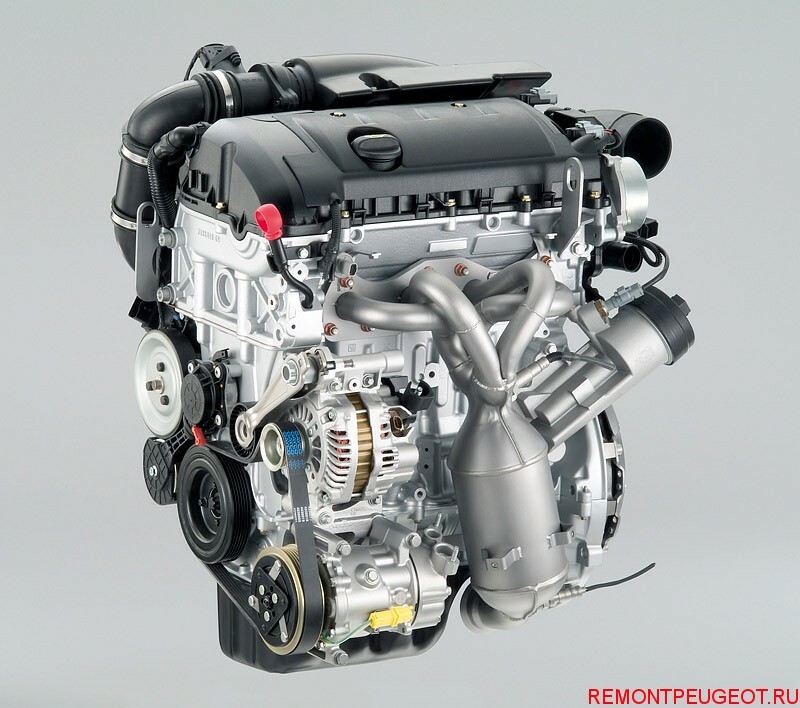 The EP6 engine of Peugeot does not have a direct injection system. The fuel rail is located behind the cylinder head. 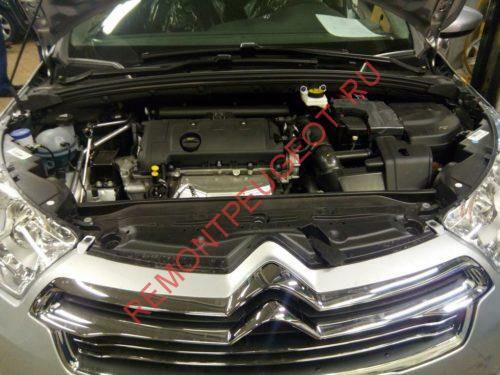 It is also made of composite materials and includes fuel injection nozzles. 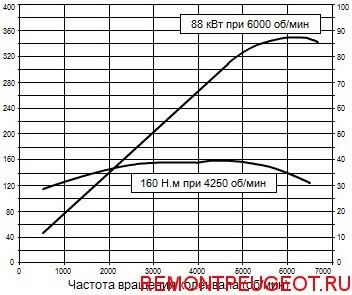 The pressure of the fuel pump and the fuel supply system is 3.5 bar. The fuel pump is located in the tank and is equipped with the pressure controller. Fuel injection nozzles of solenoid type have 8 holes for fuel injected. The absorber is installed under the tank. The absorber valve ensures fuel vapor recovery and is installed under the intake manifold.